Save your business from expensive and disruptive excavation works, with our swift and cost-effective pipe lining and pipe repair services. Our trained engineers can remove the need to dig down when your drain system has suffered tree-root damage, broken pipes or leaking ground-water. 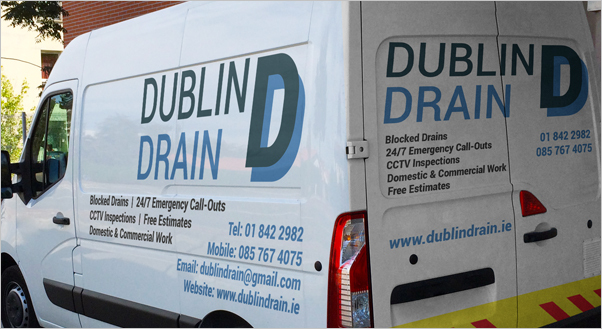 Dublin drain can line pipes of all sizes (75mm to 450mm diameter), in every location where it may be difficult for traditional methods to reach. A range of linings to suit your practical needs are available. The system works by pulling a resin impregnated felt into place, and inverting it with either water or air. When the job has cured, we take out the inversion tube, building a pipe within a pipe. Your engineer will then use a lateral cutter to reconnect the new pipe to any incoming pipes. Our pipe lining and pipe repairs make it easy to save time and hassle.